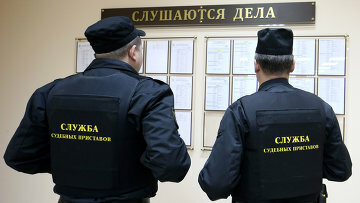 Russia’s bailiffs seek to criminally prosecute parents hiding their children | Russian Legal Information Agency (RAPSI). MOSCOW, November 12 (RAPSI) – The Federal Bailiff Service (FBS) has proposed to bring criminal actions against parents maliciously non-complying with court ruilings on procedures governing their contacts with children and transfer of parental custody. Addressing participants of a roundtable on enhancement of the FBS efficiency, Dmitry Aristov, the Service head, has said that many non-complying parents, mostly fathers, actively try to avoid execution of such judgments and hide their children, for what they are currently brought only to administrative liability; therefore, the Service proposes to discuss an option of criminal prosecution of such persons. According to Aristov, tougher punitive measures should be applied only with respect to enforcement proceedings of non-pecuniary nature relating to the most important and socially significant judgements, and that there is no need to criminalize nonpayment of estate liabilities. The FBS head noted that within 9 months of 2018 there were initiated about 1 million non-pecuniary enforcement proceedings. Aristov took part in a discussion at a roundtable on the problems of regulation and prospects of enforcement proceedings held by the Committee on Security and Anticorruption of the State Duma, the lower house of Russia’s Parliament on Monday.